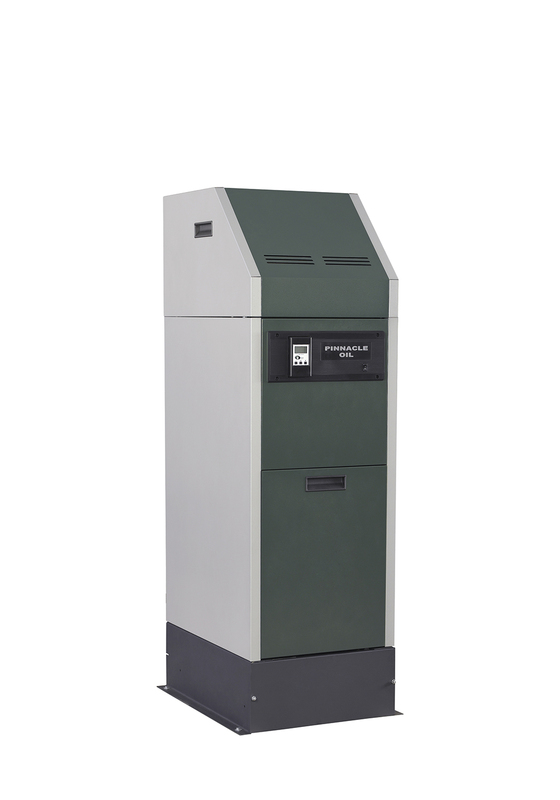 The Peerless® Pinnacle® high efficiency, Oil-fired condensing boiler offers 92% efficiency and is ENERGY STAR® compliant. Two firing rates are available – .5 GPH and .6 GPH – with input ranges from 70,000 BTU/Hr. to 84,000 BTU/Hr. respectively. 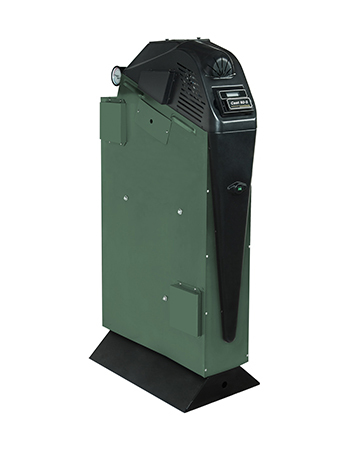 The residential boiler is equipped with a Beckett AFG Burner, enabling the boiler to reach efficiencies well in excess of conventional boilers; both firing rates qualify for the ENERGY STAR rating. The heat exchanger is constructed of high alloy stainless steel that assures the boiler’s durability and resistant to corrosion. Models PO-70A and PO-84A designate boilers using an alternate minimum vent length of 25 equivalent feet. 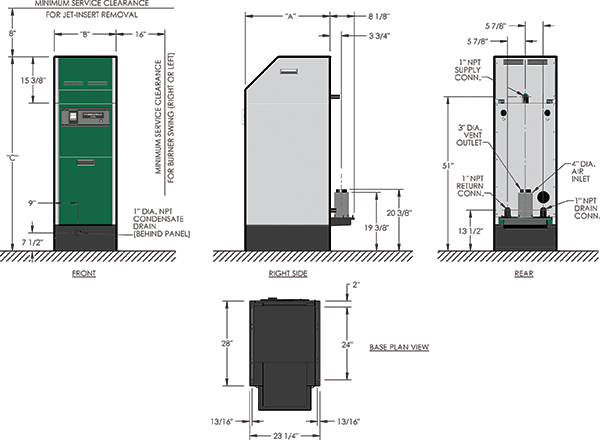 Firing Rate is based on commercial standard #2 fuel oil with a heating value of 140,000 Btu/gallon. Burner input is based on a maximum altitude of 2,000 ft – for higher altitudes consult the factory. Heating Capacity ratings are based on U.S. Government standard tests, with 13.0% CO². the Net Output Ratings are based on a pick-up allowance of 1.15. Consult the factory before selecting a boiler for gravity hot water installations or installations having unusual piping and pick-up requirements, such as intermittent system operation and extensive piping systems. Heating Capacity, Net Output, and Annual Fuel Usage Efficiency (AFUE) are based on testing required by the FTC and are 3rd Party Verified.